You are here: Home › General › Volunteers exceptional contribution recognised with special award. Volunteers exceptional contribution recognised with special award. Two St John volunteer drivers have been presented with the Mick Peters Award for Exceptional contribution to Rescue and Community Services. 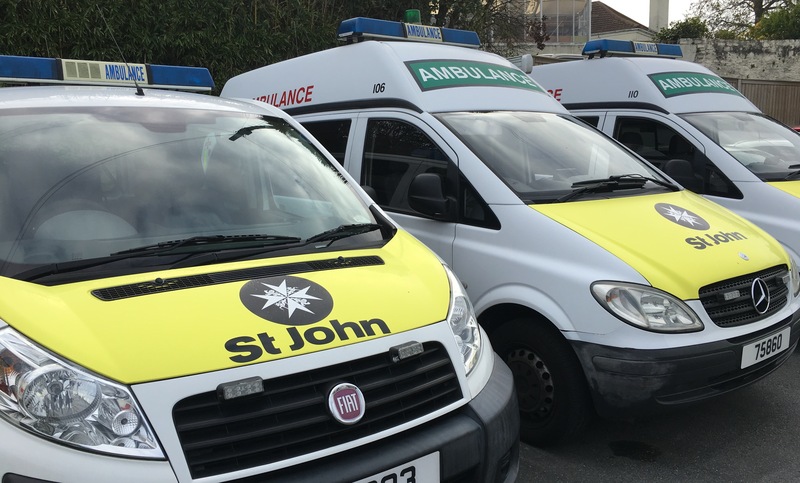 Voluntary Ambulance Care Assistants Paul Kennedy and Neil Archer give up their own time to assist the Non-Emergency Patient Transport Service with the collection and delivery of renal patients, who require transport to hospital for dialysis. 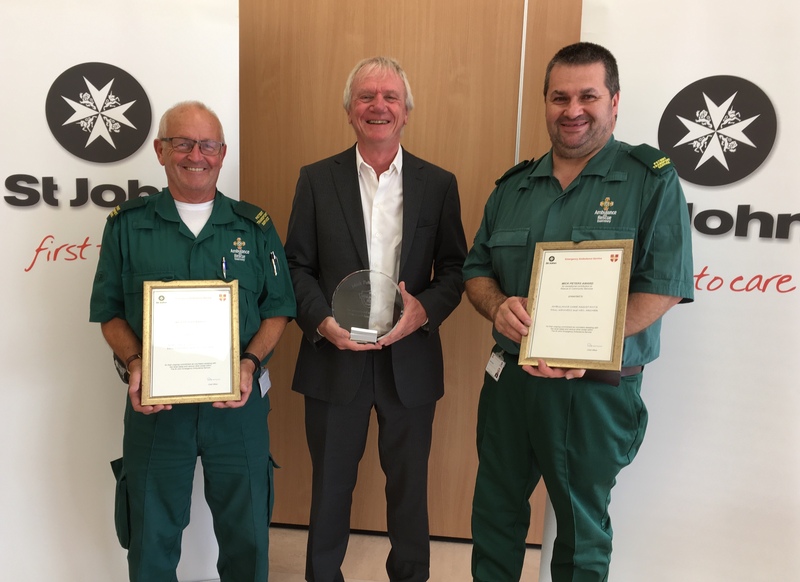 The pair who also volunteer as Ambulance Reservists, were presented their awards by the Steve Le Page, the Chairman of the St John Ambulance & Rescue Service board. This special Annual Award is presented in memory of Mick Peters. Mick completed 34 years of service and was a Senior Officer of the St John Ambulance & Rescue Service before his retirement. The annual Award is for exceptional contribution to the rescue and community services throughout the year.